Tucked away on 10,000 acres in the Santa Barbara wine country, The Alisal Guest Ranch & Resort has played host to city slickers and celebs since 1946 (Clark Gable was an early guest). Now, you can see a bit of Alisal’s more challenging side: Bootcamp. Rough it alongside accomplished equestrians and expert wranglers on 2009 Bootcamps designed for and dubbed Cowgirls, Couples, or Mother/Daughter. The three-night, four-day adventures are all inclusive and combine the best of wild west culture with the adventures of working on a real cattle ranch. Upcoming dates: Mother/Daughter Bootcamp (Feb. 26-Mar. 1); Cowgirl Bootcamp (May 3-6); Couples Bootcamp (Oct. 22-25). For more, click on the link above. 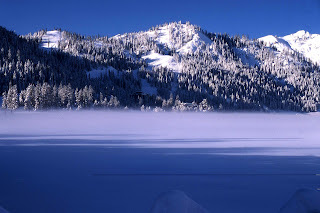 As snow begins to fall in the high country, those who love the world of ranching are reminded of so many good things. -The beauty and grace of a horse. -The sudden appearance of wildflowers in the mountains and deserts. -Snow falling on hay bales. -The warm comraderie between dude ranch guests, wranglers, counselors, and ranchers. -For ranchers, the joy of being able to share their passions and love of their special world with their guests. -And most of all: the good fortune to work or play in a place that nourishes both body and soul. One question every kid will ask his parents about the ranch they choose to visit is: “Will there be any kids my age there?” At Lost Valley Ranch, just southwest of Denver, owner Bob Foster hears that question a lot. His answer? More importantly, the supervisors (or ‘supes’) of the children and teens at Lost Valley Ranch are hand-picked. “I personally visit with all our potential staffers,” says Foster, “I like to look ’em in the eye.” His goal: to hire young people who have a passion for working with children and teenagers. “Finding people who really enjoy working with kids—that’s our number one job,” Foster says. It must be working—this will be their 49th year in the dude and guest ranching business. I’m not the best rider in the West, so I’ve always wanted a program where I could brush up my riding skills, learn more about horses (what are they thinking when their ears prick up? ), and maybe get a little girly pampering, too. Several ranches now have programs that offer that kind of thing; classes are kept small and usually last a week. Take Tanque Verde Ranch’s Women of the West clinic, for example. You check into comfy casitas, dive into a week of horse training classes, and at the end of each day you sit around a campfire and get entertained by horse trainer Tom Chambers (he’s also a singer and western music composer). On the last day, the gals are treated to a professional massage at the spa, plus Dom Perignon Champagne and chocolate-covered strawberries! Chambers says the goal is to let riders experience “that magic place in time that I call harmony with horses!” Yep, but you all experience some pretty nice pampering, too. Tanque Verde’s Women of the West has six clinics in 2009 (start dates Jan. 31; Feb. 28; Ap. 18; Oct. 3; Nov. 7; Dec. 12); click here for the website. 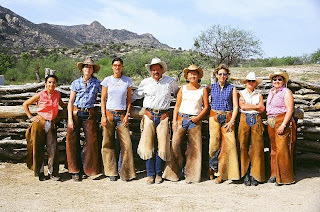 More ranches with women’s week programs: ARIZONA: Flying E Ranch; Kay El Bar. 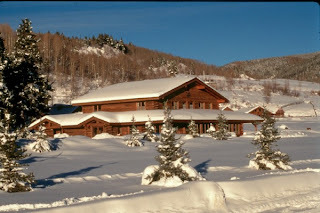 WYOMING: Firehole Ranch; Paradise Guest Ranch. Last week’s post (Tips for Moms: Selecting a ranch for kids) just touched on a subject blog readers always want to know more about: how to find the perfect ranch suited to your children and the family’s needs. Our partner site, Ranchweb.com, breaks out their list of North American ranches into helpful categories, from those with children’s trail riding (including Arizona’s Rancho de los Caballeros) to guest ranches and resorts with teen programs (as at Colorado’s Wilderness Trails Ranch); to ranches that let kids eat together with other children (as at New York’s Rocking Horse Dude Ranch Resort). And some ranches have fine-tuned their children’s programs over decades. Take California’s Rankin Ranch, for example. Founded in 1863 (click to see the ranch in pictures), the ranch history runs deep and the Rankin family delights in sharing this history with guests. Their supervised children’s program for ages 4-11 provides activities throughout the day: treasure hunts to nature walks, arts and crafts fun, talent shows, toy boat building and racing. Each evening, everyone enjoys visiting Sarah’s Farm to feed and pet the calves, chickens, pigs, and sheep. Plan ahead: the ranch is open March-September. Directions: Let the yeast and warm water sit until bubbly. Then mix the eggs, oil, pumpkin, milk, sugars, and pudding mixes with the yeast until smooth. Add the salt and flour gradually until dough is elastic. Let the entire mixture rise until is has about doubled, then roll it out into a long rectangle. Spread with filling, roll up, cut into rolls and place in a pan or greased baking sheet. Cover it with a damp cloth and let it rise again. Bake in a 375° oven for 30 min., then test for doneness. Drizzle icing on when they’ve cooled. Makes about 2 dozen big buns. Arizona’s oldest dude ranch also has some news: it just completed its largest restoration to date. The original adobe walls have been restored, lodge bathrooms upgraded, and traditional landscaping has been returned. But the most important thing hasn’t changed: the peace and serenity you can find here in this lovely Sonoran Desert setting. To learn more, visit Kay el Bar on the web. Figuring out which ranch is best for your kids is a concern for both parents, but Moms are often the ones who end up doing the necessary detective work. One tip: start your selection process on the Internet (on sites that narrow the search, like Ranchweb), then work the phones. When you’ve selected your top choice ranches, ask each for a list of past guests that wouldn’t mind a call from you (that is, guests who came with kids). Then call and ask if they have time for a few questions about their ranch stay: how child-oriented they felt the ranch was; what kinds of kid-programs they participated in and what ages the programs worked best for; what their kids really loved (or not) about the ranch. Want to escape from bell-ringing Santas, throngs at the mall, and those seemingly endless shopping lists and decorating chores? Head for a guest ranch during December’s holiday season. Whether you choose a snowy redoubt in Wyoming or a winter-warm spot like Arizona, you’re sure to find one thing: a great escape from the usual din of December. Bring your friends and family to join ranch activities that range from campfires with s’mores to decorating the tree. Not all ranches are open for the Christmas holiday, but those that are make extra efforts to ensure a special time for their guests, with incredible feasts (like duck l’orange), or horseback riding or snowmobile and snowshoe tours (as weather permits). Some examples: at Wyoming’s Turpin Meadow Ranch, nordic and snowshoe opportunities are right outside your cabin door and the lodge is just fifteen miles from Grand Teton National Park, and the festivities abound, from cookie-making to tree-trimming. And nearby Jackson jumps with the holiday activities from Thanksgiving through New Year. In Arizona, visit Stagecoach Trails Guest Ranch and get into the frontier spirit. Relax by the pool, challenge the kids to a game of basketball or billiards, or ride into the Arizona sunshine. Whichever style of ranch you choose, it will be a holiday your family will not soon forget. For a complete list of year-round ranches, mosey on over to Ranchweb. Can’t face another overstuffed meal with the relatives? Try something off the hook for the Thanksgiving holiday. It’s not far off—November 27—and its always a Thursday, which makes it perfect for kicking off a four-day weekend or week-long trip. And what better way to plug into the true spirit of the holiday than to get back to the land on a guest ranch? Now is the time to start planning a Thanksgiving ranch getaway. Give thanks for the past year—or just rest up and recover from it—on a luxury ranch (some have indulgences like spas and soaking tubs). Or share the bounty of the season on a rustic ranch; many have been in the same family for generations, so you can be sure they know a thing or two about taking care of the land and being thankful for all it has to give us. Here are a few ranches open at Thanksgiving (at our press date, they all had T-Day openings, but call ahead to check/book): Bar W Guest Ranch in Montana; Clear Creek Ranch in North Carolina; Elkhorn Ranch in Arizona; Grapevine Canyon Ranch in Arizona. Whatever style of ranch you visit, it’ll be a Turkey Day you’ll remember for years to come. 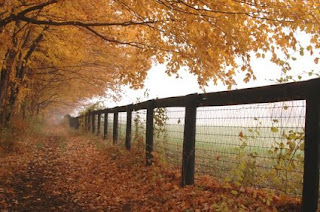 For a list of ranches that are open in fall/year-round, check Ranchweb.com. Click here for ranch travel bargains.